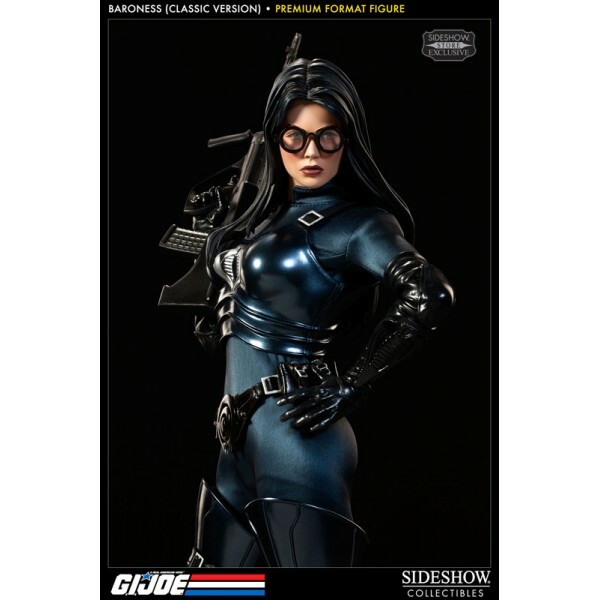 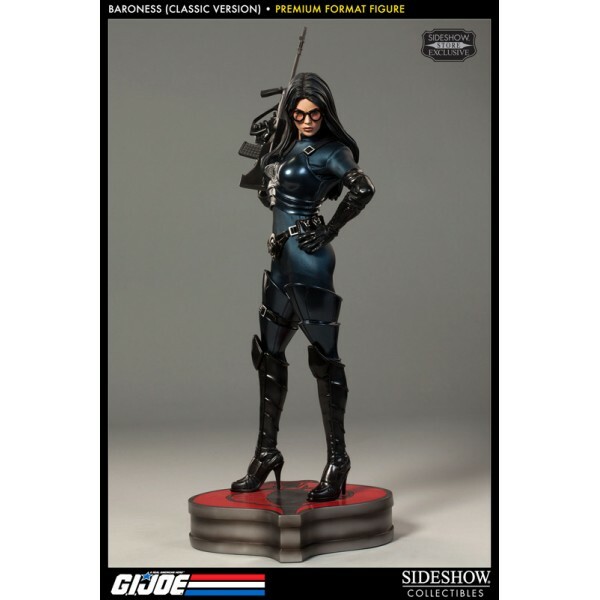 Sideshow Collectibles is proud to present the Baroness - Classic Version Premium Format figure. 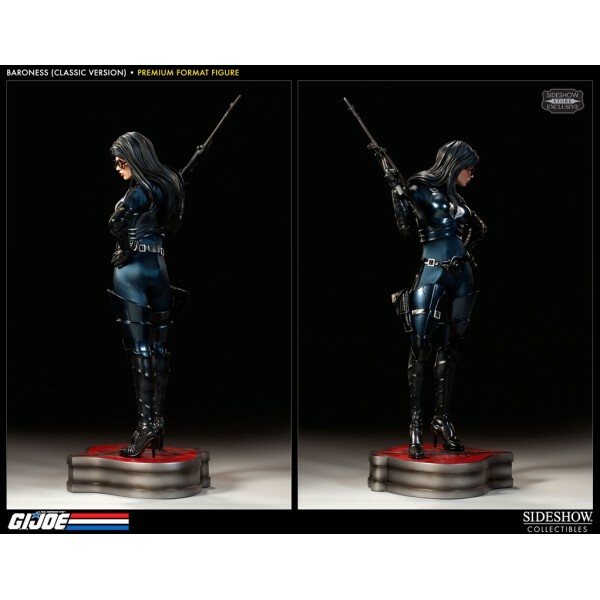 In a Sideshow Store Exclusive release, Cobra´s second in command dons a dark blue fabric costume. Crafted in stunning 1:4 scale, this beautiful femme fatale stands over 57 cm tall. 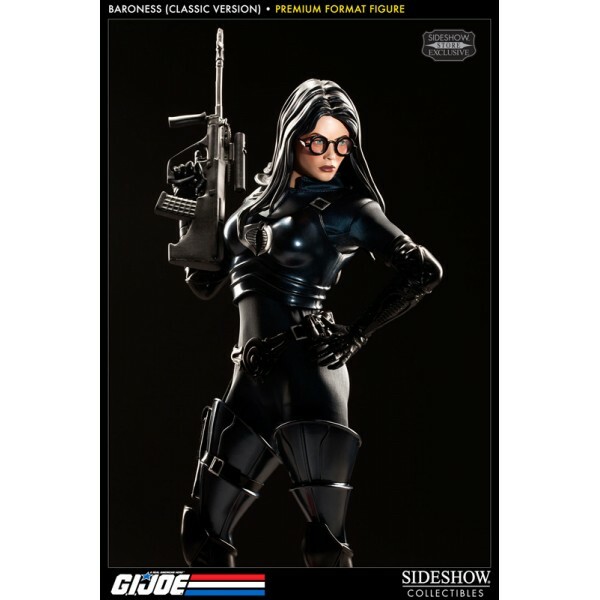 Each piece is individually painted and finished with striking attention to detail, an outstanding addition to any GI JOE or COBRA collection.